Customers are adopting SQL Server containers for many different purposes from local development to testing in DevOps pipelines to deployment with container orchestrators such as Kubernetes. SQL Server in containers are great because of their consistent, isolated and reliable behavior across environments, ease of use, and ease of starting and stopping. Customized content can be built on top of SQL Server containers, and run without being affected by the rest of the environment. 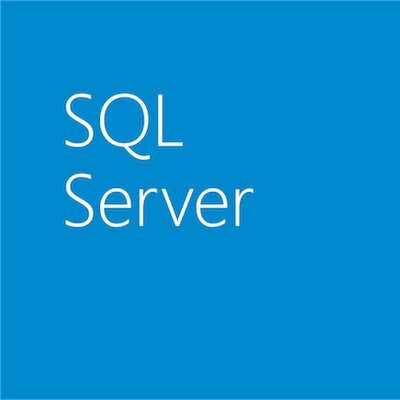 This isolation makes SQL Server in containers ideal for test deployment scenarios as well as DevOps processes. With SQL Server 2019 we continue to provide more platform choices with the addition of official SQL Server on Red Hat Enterprise Linux as a Red Hat Certified Container Image. Previously, it was possible to build and run SQL Server in these containers, and now we are making it easier to get started by making it available on Microsoft Container Registry. You can run SQL Server container on Red Hat Enterprise Linux with the all the existing SQL Server on Linux container functionality, or extend it by using this image as a base image. Either way, you can now use this image for a variety of use cases from development on local environment to deployment on OpenShift with support from Red Hat and Microsoft when 2019 is generally available. For more details on how to deploy SQL Server 2019 Red Hat Certified Container Images are available here. For access to the full list of Red Hat Certified Container images, visit the Red Hat Container Catalog. SQL Server 2019 introduces the ability to deploy SQL Server containers with Always On Availability Groups on a Kubernetes cluster. The key functionalities for creation, management and health detection of the Availability Groups is encapsulated in the SQL Server HA container image (only Ubuntu images for CTP2.0). Red Hat Enterprise Linux-based images for Kubernetes or Red Hat OpenShift clusters will be made available in a subsequent CTP release of SQL Server 2019. For more details on deployment, management and connecting to Availability Groups on an AKS cluster in Azure refer to the documentation. SQL Server 2019 CTP2.0 and 2017 images can be pulled from Microsoft Container Registry (MCR), our home for Microsoft-certified container images. For a complete list of SQL Server 2019 CTP2.0 improvements read What’s new in SQL Server documentation. For more details on how to deploy SQL Server 2019 in containers read Quickstart: Run SQL Server container images with Docker documentation. For more information on Red Hat Certified Container images, visit the Red Hat container catalog.